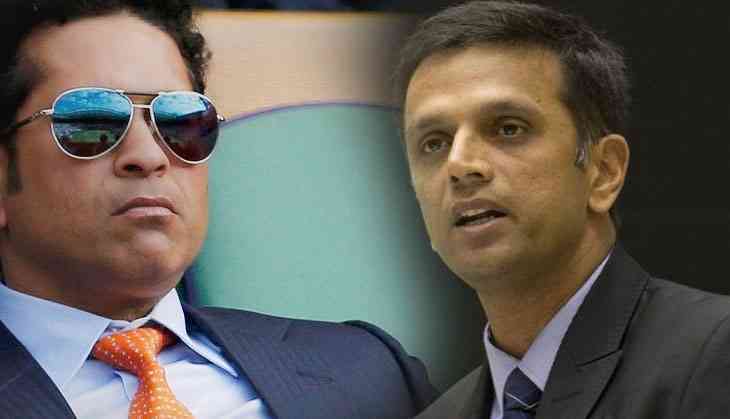 Home » cricket news » Here's the reasons why Rahul Dravid is being inducted into ICC Hall of Fame before Sachin Tendulkar? The 'master-blaster' Sachin Tendulkar congragulated the former Indian skipper Rahul Dravid for being inducted into the ICC Hall of Fame on Sunday. Every cricket fans have curiosity in their mind that why Rahul Dravid is inducted into the ICC Hall of Fame before Sachin Tendulkar? This is because as per the rules, a player should not have played any contest for the last five years at the international level before being inducted into ICC Hall of Fame. As we all know that Sachin Tendulkar retired from international cricket in November 2013 so he is not eligible to receive or inducted into the ICC Hall of Fame. Dravid becomes the fifth Indian cricketer to receive the honour after Bishan Singh Bedi, Kapil Dev, Sunil Gavaskar and Anil Kumble. Along with Indian cricketer, former Australia captain Ricky Ponting and England batting great Claire Taylor. With 13,288 runs in 164 Test matches, Rahul Dravid is fourth on the list of all-time highest run-getters in the longest format of the game behind only Sachin Tendulkar, Ponting and Jacques Kallis. In a video message, Dravid said, “It’s a great honour and privilege to be inducted into the Hall of Fame. I’m thankful to the ICC for giving me this honour. It’s a privilege to be in a group of people I have looked up to and I have admired as a young man growing up in my journey as a cricketer. I love to be able to thank so many people who have made it possible for me to have a career in this sport and to fulfil my dreams." Former Aussie skipper Ricky Ponting is the 25th Australian to be awarded the cap. Ponting, who scored more than 13,000 runs in both Tests and one-day internationals, said, "I loved every moment of my journey as a player and am so very proud of the team and personal achievements along the way." Taylor is the seventh woman to join and the third female player from England. Taylor scored 1,030 runs in 15 Tests, 4,101 runs in 126 ODIs and 615 runs in 21 Twenty20 Internationals.